Aromatherapy not only smells great, but offers so many different benefits, depending on which essential oil you use. And it’s not just for adults. Kids, too, can reap mental and physical rewards of using essential oils. Aromatherapy is just what it says: therapeutic. Add a little style to your child’s healing with one of Vitality Extract’s diffuser bracelets. 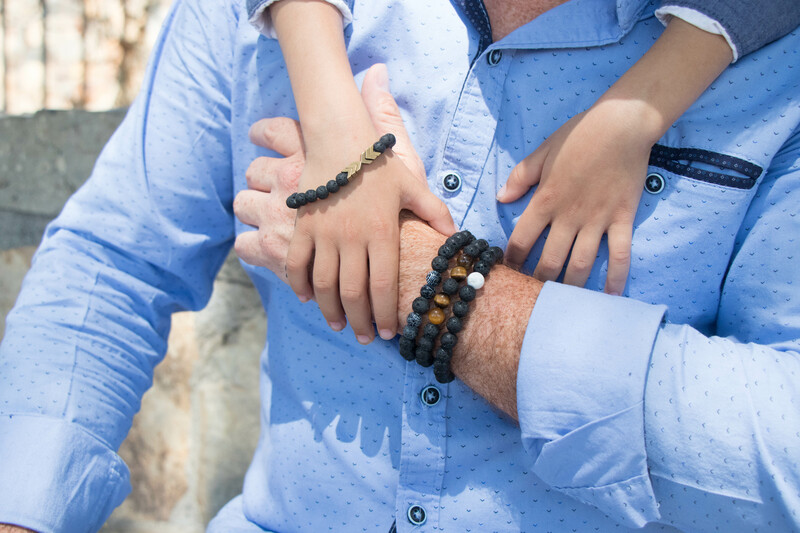 The popularity of our diffuser jewelry for adults led us to expand and offer bracelets for kids. They’re all available with an adjustable band. Each bracelet comes with lava rocks for applying the essential oils. The stones are porous and easily absorb the oil of your choice. Apply a drop or two of essential oil to the beads. The fragrance typically lasts at least a day, if not more. Rose quartz is one of the top choices in crystals. It’s the stone of love and some use it for healing the heart from pain or disappointment. It strengthens and balances the physical heart and circulatory system. Red Tiger’s Eye is a stimulating stone associated with the root chakra. It’s good for improving feelings of self-esteem and confidence, as well as motivation and energy. Known for both physical and emotional healing energy, turquoise is a stone that helps with exhaustion, depression, panic attacks, as well as offering solace for the spirit, well-being for the body, and a sense of serenity and peace. Turquoise is a stone of purification used by some to get rid negative energy. Great for stress relief, the Howlite is a calming stone and is a great choice for insomnia caused by an overactive mind. It’s used for dream retention, self-awareness, and to dispel anger. Aromatherapy is an effective way to naturally help your child’s healing process and to keep them happy and healthy. Check out the benefits and properties of various essential oils and then put a couple of drops on a bracelet. These are just a few ideas. Experiment and see what works for your kids. Choose a bracelet and an essential oil that helps your child feel the best they can.